We are researchers with academic background and professional experience in different fields, including international cooperation, social research, environmental sustainability, biodiversity, online collaboration, online education and training, and related technologies. Stefano has an Economics and Commerce degree from Bocconi University (Milan, Italy) and a PhD in Management from the University of Western Australia. 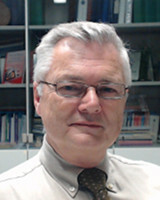 He worked as a researcher at Bocconi University for more than thirty years where he specialised with adoption and diffusion of new information technologies in online collaboration, and online education and training. Stefano is currently an agribusiness executive and is actively involved in ethical purchasing groups, networks of small farms and initiatives that aim to develop sustainable local food systems through innovation and adaptation. 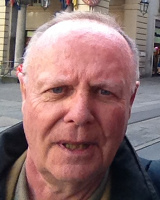 He is actively involved in network facilitation for volunteer groups in Milan. Agribusiness management, cooperation innovation and adaptation by small farms, non-profit organizations, online communities, facilitation. 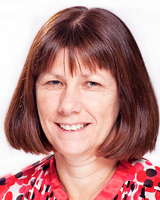 Jane is a research and education consultant. She is also Executive Partner in OneResearch, a research services and consulting firm, supervisor of doctoral students for University of Liverpool Online, and visiting professor in management at several universities. Research methods, online teaching and learning, social psychology, innovation and entrepreneurship. PierCarlo a professional officer in the Department of Veterinary Science at the University of Turin. 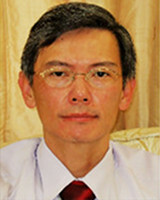 His activities include development of multimedia material for teaching and learning on-campus and at a distance, and other activities related to the university’s science museum, international exchange programs and international projects. Since 2003, PierCarlo has collaborated with public institutions of the Republic of Cuba through preparation of cooperation agreements, managing funded projects and facilitation of teacher and student exchange. He also collaborates with many Cuban and Italian social, political and cultural institutions. 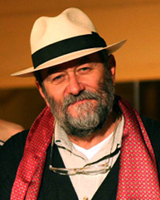 PierCarlo is an expert in photography and video work and has worked as a videographer, director of photography and director of scientific and historical videos. Photography, TV direction, science communication, publishing, international cooperation. Giuliana is a Lecturer in Public Management & Policy at SDA Bocconi School of Management (Milan, Italy) where she coordinates courses in Management of Social Enterprises and Non-Profit Organizations. She has been director or coordinator of many other courses for the management of social enterprises and non-profit organizations, including a Masters in Non-Profit and Cooperatives. Her research interests are in marketing and fundraising, social enterprise, business planning and social impact measurement. Giuliana also participates as a volunteer in many initiatives in Naples (where she was born) and is a founder of the Association Oltre Food For Brains, an association for international cooperation and development that provides knowledge, culture and education in countries such as Tanzania. Social entrepreneurship & business planning, development and evaluation of human resources, social politics, social marketing, NGO. Gilberto is emeritus professor of veterinary medicine at the University of Turin, where he specialised in aquaculture and ecology. Since 1996, he has been active in international scientific, educational, social and cultural collaboration with Cuba, including projects funded by the UN Food and Agriculture Organization, the Italian Foreign Ministry and other entities. In 2003, Gilberto became a profesor invitado at the Universidad Agraria de La Habana (UNAH) and was honoured by the provincial assembly of Havana with the title, hijo ilustre [Illustrious Son] of the Province. Gilberto is an expert in nature photography and biodiversity and has created a huge archive mostly dedicated to the ornithology of Piedmont (Italy) and Cuba. Biodiversity, nature photography, aquaculture, freshwater ecology, science communication, publishing, international cooperation. Müge has a PhD in Computer Education and Instructional Technology from Middle East Technical University. 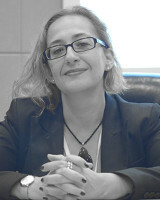 She is currently a faculty member in the Department of Computer Education and Instructional Technology, Head of Informatics, and Director of Distance Education at Muğla Sıtkı Koçman University. She has also performed various key roles in national education and technology projects financed by the World Bank in Turkey. Technology training and integration, technology adoption, e-learning, faculty development, and digital divide. 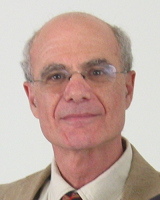 Icek is Professor Emeritus at the University of Massachusetts Amherst (USA). 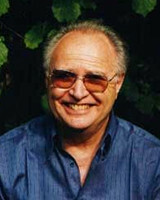 He is known for his research on the relation between attitudes and behavior, and for developing the Theory of Planned Behavior (TPB), a model widely used to explain, predict, and modify human behavior. He currently serves as a consultant on academic research projects and behavior change initiatives, and he offers workshops on the reasoned action approach to predicting and changing behavior. Additional information is available on his personal website at https://people.umass.edu/aizen/. Human behavior, attitudes, reasoned action approach [or theory of planned behavior]. Rodolfo has a degree in Physics and a PhD in Tourism Management. After having worked for more than twenty years in information technology companies he now teaches and researches actively on complex tourism systems and their relationships with information technology. Most research works available here. Complexity and network science, information technology and systems, e-Tourism, quantitative methods. 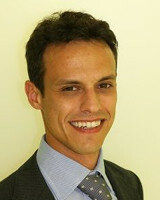 Gianmaria has a Management degree from Bocconi University (Milan, Italy). 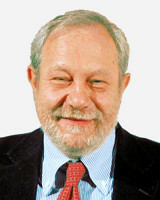 He has worked as a researcher in the University’s Centre for Research on Health and Social Care Management, a professor of Public and Healthcare Management in several Business Schools, including Bocconi’s School of Management and, more recently, as chief executive of both public and private healthcare companies. He now focuses on promoting successful competitive strategies and business models in non-profit service sectors (education and healthcare) and improving the performance of companies through organizational and process innovation. Innovation management, cognitive computing, process management, healthcare management, management of education, open-distance-mobile e-learning. Paola is Professor of Information Systems at Bocconi University (Milan), SDA Bocconi Business School (Milan), MISB Bocconi (Mumbai), Certified Chartered Accountant. Her research and teaching interests include Information Technology (IT) Management, Sharing Economy and Smart Cities, Digital Innovation in various industries (e.g. healthcare), Corporate Social Responsibility (CSR) practices in multinational corporations. 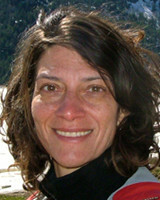 Over the past 20 years she has been visiting researcher at European (e.g. RSM Rotterdam) and international (e.g. IIM Bangalore) universities. Her publications appeared in international journals such as MIS Quarterly (1998) and International Journal of Production Research (2013). IT Management, Sharing Economy and Smart Cities, Digital innovation in various industries (e.g. healthcare), CSR practices in MNC. 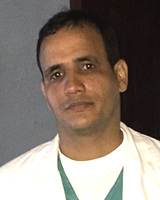 Gerardo teaches veterinary anatomy and is vice-dean of professional training at the Universidad Agraria de La Habana (UNAH), Cuba. A Doctor of Veterinary Medicine and Animal Husbandry, he works in veterinary forensics and is coordinator of educational technology implementation for veterinary practice. Applied and forensic veterinary anatomy, educational technology in veterinary medicine. Laura has a PhD in Economics and Finance of Public Administration from DEFAP. 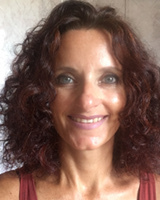 After more than ten years spent in academic research working on social issues employing both quantitative and qualitative method, from September 2017 she is senior researcher at Fondazione Eni Enrico Mattei, working on Sustainable Development. She teaches at Bocconi University and at Catholic University of Milan. Her majors are statistics, econometrics, microeconomics and demography. Fertility, labour economics, fuel poverty, sustainable development, quantitative methods. 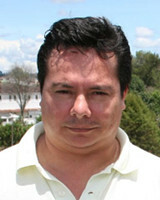 Cesar is full professor Universidad del Cauca-Colombia and Head of IDIS (Investigacion y Desarrollo en Ingenieria de Software) Research Group. 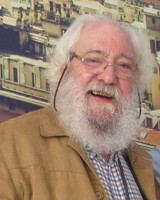 He pursued his doctoral studies in computer science at University of Chile. 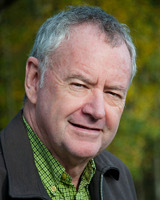 His main research areas include Human Computer Interaction, Computer Supported Collaborative Learning, ICT in education. Human Computer Interaction, Computer Supported Collaborative Learning, ICT in education. Paola is a project manager and instructional designer. She has worked in the field of distance learning for more than 20 years. 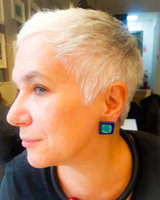 One of her areas of interest is the development of open content, and she works on innovative education projects, both in Italy and internationally. 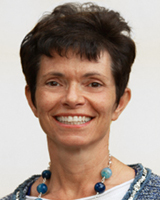 In the last few years, she has focused on development of massive open online courses (MOOCs) (www.pok.polimi.it). At present she is developing a series of “MOOCs for Teachers”, focusing on innovation in teaching. She also participated in design and development of a series of MOOCs aimed at supporting students’ transition from university to work. Teaching and learning innovation; open education. Vitaliano lectures in Operations and Technology at SDA Bocconi (Milan, Italy) where he coordinates the Agribusiness Management Development Program. He is also a Contract Professor of Management at Bocconi University. Vitaliano holds qualifications in political science (Pavia), international relations, environmental economics and management (Bocconi) and a PhD in Logistics and Supply Chain Management (Bergamo, in partnership with Bocconi and MIT-ZLC). His research focuses on supply chain management and sustainability, particularly in the food and beverage industry. He has written several academic works and won an international business case writing award. Supply chain management, sustainable agriculture and agribusiness management, sustainability in the food and beverage industry, food security. Seán is Irish by birth, culture and conviction and a resident of Sweden since 1975. He has a Ph.D in applications of Gestalt psychotherapy theory and methodology to groups, work teams and organisations in multicultural settings. He is a former lecturer/guest professor at The Stockholm School of Economics, Bocconi Business School (Milan), Riga School of Economics, Gestalt Academy of Scandinavia, Norwegian Gestalt Institute, East European Gestalt Institute (St. Petersburg), Belfast Gestalt Centre. More information here. Group Processes and Dynamics, Organisational Change, Leadership – all in multicultural/international settings. 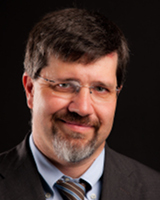 Stefano is Professor of Information Engineering and responsible for Telecommunication Networks Laboratories at the University of Pisa. 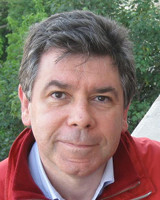 He has published widely in international conferences and journals and is associate editor of the International Journal of Communication Systems and the Journal of Computer and System Sciences. He has received grants from and acted as reviewer for major research granting institutions, is an active member of professional bodies and co-founder of several start-ups. Internet of Things, Tactile Internet, Cloud Networking, Networking for Robotics and Cyber Physical Systems. Charles has a PhD in Mathematical Psychology from UCLA. He is currently Carl DeSantis Professor of Business Administration and Professor of Marketing at Florida State University. He has published in the Journal of Marketing Research, Management Science, Journal of Management and other outlets. He is former editor of the Journal of Interactive Marketing. Digital marketing, direct marketing, quantitative methods. Andrea is a professor at the Federal University in Santa Catarina (UFSC), Brazil. She has a PhD in Urban Planning and now works in the Centre of Education Sciences, undergrad and graduation courses, with focus on citizens education through social virtual spaces. She also coordinates the New Technologies Lab (Lantec/UFSC), that deals with online courses, specially in the teachers’ education through design and development of ICT resources. Most research works available here. Teachers’ education for ICT integration; education for human rights; social environments for learning; collaborative methodologies; open science/open education; community empowerment at schools; citizens’ education in web 2.0; distance education. Ben is an information technology consultant with more than 30 years’ experience in IT management in the oil and gas and defence industries, including roles as Chief Information Officer and in strategic management, business transformation, project management and IT operations and outsourcing. Ben is a teacher and mentor to IT professionals as well as to graduate and undergraduate students. Research interests: e-business and e-commerce. Information Systems and Management Information Systems, and Data mining. Bruce is an animal scientist with almost 50 years teaching experience in farm animal physiology and nutrition. 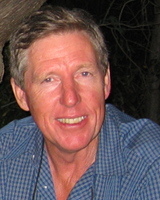 He is currently an Adjunct Associate Professor and Honorary Research Fellow at the University of Western Australia, School of Agriculture and Environment, where he continues to teach and assess students. He is also a research associate with the School of Public Health at Curtin University with a project on the nutrition of the homeless and disadvantaged. 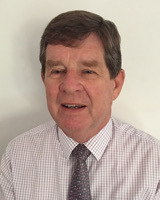 For the last 20 years he has been active in the area of international education, first as Director of an International Centre and then consultant. Animal and human nutrition; the charitable food sector; international education. 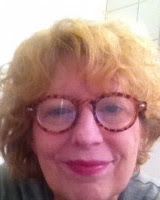 Michele has a PhD in Sociology from the Catholic University of the Sacred Heart (‘La Cattolica’) in Milan. 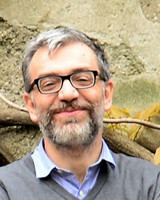 He is adjunct professor of Sociology at the Catholic University in Milan (Faculty of Education Science and Medicine) and at the University of Trento (Department of Sociology and Social Research). His research interests focus on studies of welfare regime changes, health and medicine sociology, and qualitative research methods. Welfare regime changes; health and medicine sociology; qualitative research methods. 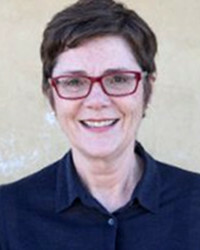 Tanya is an Associate Professor in the Information Technology Discipline in the School of Engineering and Information Technology at Murdoch University in Western Australia. She teaches a wide range of information systems and information technology units at both undergraduate and postgraduate levels, and supervises doctoral students in information systems. More information here. Information security behaviour; e-learning; information technology education. 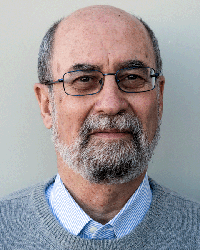 Michel is a former international consultant in national scientific information systems and professor of information science and information policy. More information: Academia Edu, Research Gate. Information policies at national and international levels; Methodologies for the monitoring and assessment of the effects and impact of information and communication technologies, information and knowledge especially on development activities; Information infrastructures and services in developing countries; Distance education for information work; Cross-cultural and multilingual aspects of ICT; Community development and the role of ICT; Information theory. 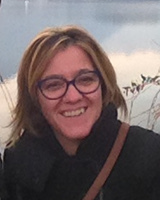 Manuela is a project manager with more than 20 years’ experience in distance and online education. She is currently project manager for the University of Milan’s eXel initiative which aims to innovate teaching and learning practices at the University. Manuela is a doctoral candidate at EMA (Ecole, Mutations, Apprentissages), Université de Cergy-Pontoise, France. Her research explores the impact of cultural differences on the design of online courses offered by universities throughout Europe. Teaching and learning innovation; cultural differences; academic development; open education. Steve has a Bachelor of Arts from the University of New South Wales and a Masters in Social Science (Hons) (Psychology) from the University of New England. He has been the chief librarian at universities in Australia and Hong Kong, and CEO of a not-for-profit provider of technology, training and services for Australian libraries. He is now a consultant (Information Exponentials) and educator (Charles Sturt University) with a particular interest in visioning and planning change that engages communities and brings positive outcomes. His work on scenario planning takes him to Asia, Europe and the USA. Steve is author of articles and books and editor of two scholarly journals (Library Management, Collections and Curation). Scenario planning; future thinking; libraries and democracy; strategic change; user behaviour; planting and growing trees for koalas. I am Assistant Professor in the Division of Learning, Communication and IT, in the Department of Applied Information Technology, University of Gothenburg. I am a hybrid of sociologist and information scientist and I place my current research at the intersection of citizen science and information technologies. More information: ORCID, CV, academic work. Gamification, crowdsourcing, citizen science, open science. Paul is professor of Veterinary Medicine at the Universidad Agraria de La Habana (UNAH), Cuba. A Doctor of Veterinary Medicine and Animal Husbandry, he also holds a Masters in Sustainable Agricultural and Rural Development. He has 15 years’ experience teaching Medical Biophysics and develops software for veterinary education, is expert in C#, .NET and DevExpress for development; MySQL and SQLite databases; and Corel Draw and PhotoShop for design. He is a keen photographer. e-learning, software for bibliographical references and styles of bibliographical citation, software development and databases for research and education, medical biophysics and biopotentials. 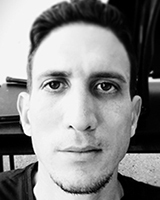 Guglielmo is senior researcher at the Institute for Educational Technology of the Italian National Research Council. 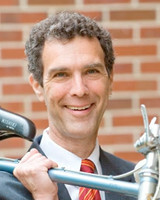 Since the late ’80s he has worked in the field of network-based learning. Presently he is member of the Doctorate School Committee of the PhD Course in Digital Humanities at the University of Genoa. More information here. Educational technology, always-on education, hybrid learning spaces, technology and educational inclusion. Bob studied farm management in Geelong, Australia before moving to the 2000 ha “Tagasaste Farm” near Lancelin in Western Australia. Since 1985, Bob has developed the farm with fodder shrubs, particularly tagasaste (tree lucerne) and sub-tropical perennial grasses and trialed innovative grazing management, animal production and animal supply chain systems. Bob aims to develop a sustainable farming system that utilises fodder shrubs and perennial pastures to increase productivity and soil organic carbon levels. In addition to hosting field days, advising other farmers and engaging with the media, Bob works actively with the Australian farming and agricultural research community. He is currently President of the Evergreen Farming group. Sustainable agriculture, tagasaste, perennial grasses, farm management, cattle farming.